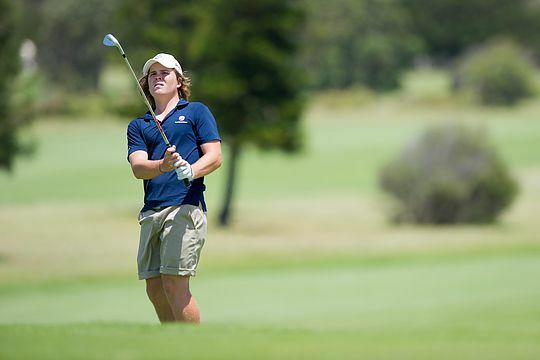 A field of 102 players will contest the 2015 South Australian Men’s & Women’s Amateur Championship this week at Tea Tree Gully Golf Club and The Grange Golf Club in Adelaide. A field of 82 players will contest the Men’s SA Medal Event. The leading 32 qualifiers after 36 holes will continue on to contest the SA Amateur Championship Match Play at Kooyonga Golf Club with the final being held on Sunday 4 October. This year’s Men’s championship sees 13 interstate players and one International adding considerable depth to a field which features 27 players boasting a handicap of scratch or better. Queensland’s Jake McLeod, a former Queensland Amateur and South Australian Junior champion, starts as one of the favourites to collect the title. McLeod will have his work cut out with a number of talented local players including two-time winner of this event, Jack Williams from the Grange Golf Club and last year’s medallist Scott Ready included in the line up. A field of 20 players will contest the Women’s Championship, with Jenny Lee from Glenelg Golf Club starting favourite. Lee is currently ranked number 8 in the Nation and 228 in the World Rankings and would be looking for a solid result to gain confidence prior to competing in the first stage of European Tour Qualifying school in Morocco in December. The women’s field contest the Medal rounds over 36 holes, before the leading 8 players progress through to the Amateur Championship match-play rounds at Kooyonga. A championship rich in history, having first being played in 1900, previous modern winners of the men’s title include Adam Bland (2002), Ben Tuohy (2003), Jordan Sherratt (2005) and Brad Moules (2011). Stephanie Na (2008) and Ebony Heard (2006-7-10) are former title holders of the women’s championship.